The first Gangjeong naval base vote was held on April 26, 2007. Former village head Taejeong Yoon called it at such short notice that just 87 of more than 1,000 villagers attended and the voters present voted unanimously in favor of the plans to build a joint naval and civilian base in Gangjeong Village, Seogwipo City. The resistance began soon after in the form of protests and activism. Another vote was held later in the year and then 94 percent of 725 villagers voted against the very same plans. 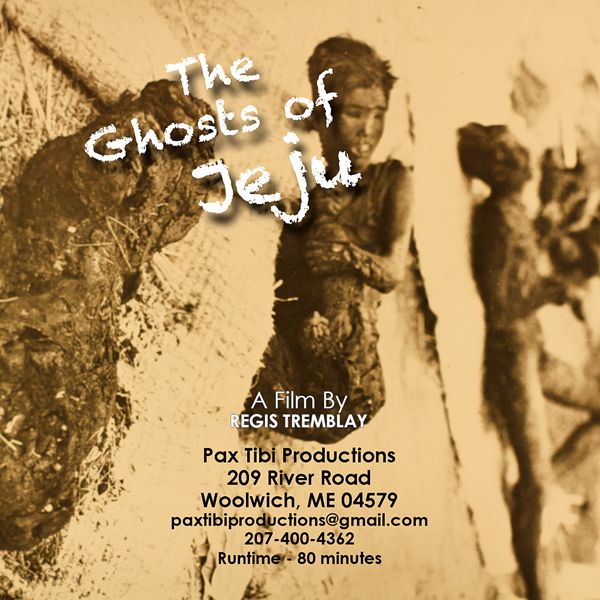 The controversy has drawn the attention of activists from around the globe, including American independent filmmaker Regis Tremblay, whose documentary, “The Ghosts of Jeju,” documents the opposition movement. It has been screened in over a dozen countries throughout Europe, Asia, and Australia. 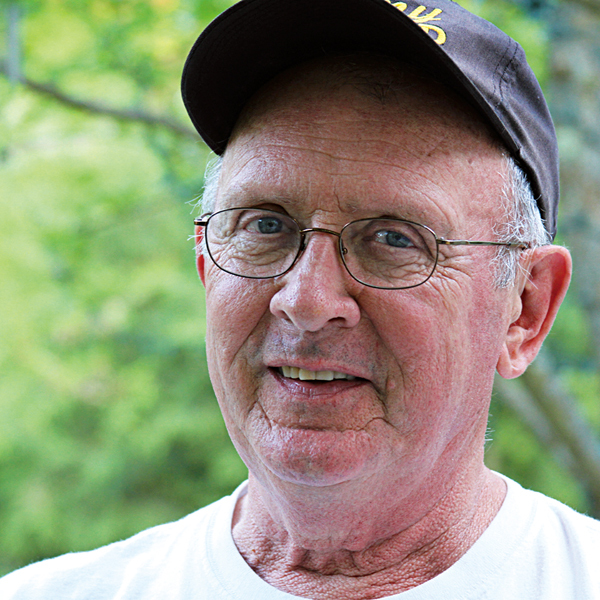 In March, his film won the 2014 Exposé Award at the Chicago Peace on Earth Film Festival. The film aims to awaken people to the struggles endured at Gangjeong and educate viewers to the historic role of the US military in the region. Tremblay particularly emphasises 1947 to 1954 when up to 30,000 lives were lost in the Jeju Massacre (known as “4.3” (sa-sam) in Korean) and President Obama’s current “pivot to Asia,” again placing Jeju on the front lines. I recently interviewed Tremblay by email about his film for The Weekly. How did you first hear about Jeju and the new naval base? My friend and neighbor, Bruce Gagnon, is the coordinator of the Global Network Against Weapons and Nuclear Power in Space. He has been to Jeju three times. Sung-Hee Choi, the coordinator of the International Team in Gangjeong, is on his board. One day in early August 2013, I was visiting Bruce and he said he needed to find three people to go to Jeju and I said, “I’ll go.” Three weeks later I was on a plane to Seoul. I introduce the film by saying why I went to Jeju … to film another anti-base, anti-American protest that I had heard about. What does Jeju mean to you? Going to Jeju, and specifically Gangjeong Village, changed my life. Making the film and sharing it as widely as I can, with no industry help, has consumed my life. As my friend Charles Hanley told me, I stumbled upon something much, much bigger than I could have ever imagined. When I was there, I did not know anything about the 4.3 event until my last stop at the 4.3 Memorial in Jeju City. It was there that I began to understand what people in Gangjeong were trying to tell me but never came right out and said it. I had heard people talk about “ghosts” while I was there, but didn’t understand. Then Oliver Stone mentioned “ghosts” people were seeing when I interviewed him. And Charles Hanley talked about how all of those Americans who were at Nogeun-ri [a US massacre of refugees in the Korean War] ... all said they saw “ghosts” for the rest of their lives. It was then that I came up with the title, The Ghosts of Jeju. What funding did you get to put the film together? I am member of Veterans For Peace … and my local chapter provided $1,000 towards the trip to Jeju and friends contributed additional funding. [They] also contributed another $500 towards production expenses. What specific goals are you trying to achieve with this movie? Well, initially I thought the film could stop construction of the base. That was rather naïve. My ultimate goal is to educate Americans about what their country is doing not only in East Asia, but the world over for 200 years. My film is really an untold history of the US in Korea since 1945. It also makes people aware of what the goal of America really is: full-spectrum dominance with overwhelming military might. It is clear and becomes clear for anyone who is willing to open their eyes and destroy the myth of American exceptionalism and the spreading of democracy and freedom. In industry terms of box office receipts, it hasn’t. But, in terms of effectiveness in teaching people around the world and opening their eyes, it has been an unqualified success. Americans cry, express outrage at what their government has done, they feel shamed, and almost always people ask, “what can we do.” And that is the real outcome I had hoped for; namely, that people wake up and take action. What can the expat community on Jeju do to help? Easy … visit Gangjeong as often as possible. You don’t have to protest at the gates. Restrict your visits to the Peace Center, the community dining hall. Just being there gives them great comfort and a real sense of solidarity. You can also share the film with as many as possible ... in bars, apartments, churches, wherever. I think it is important to maintain and create ever-expanding networks of expats and Koreans working for peace and justice.